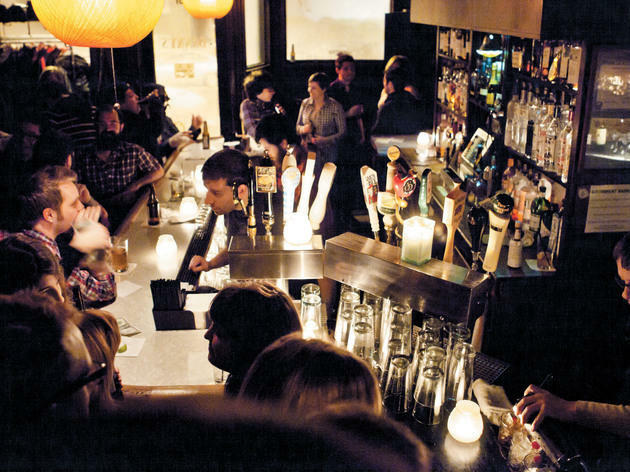 The Bucktown favorite has a line on Friday and Saturday nights that’s worth the wait. Half bar and half apartment, the space will make you nostalgic for the house parties of your college days, if you aren’t still living them. 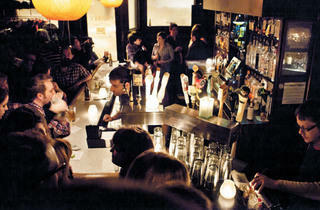 Grab a glass of whiskey or dirt-cheap PBR and elbow your way into the crowd packed wall-to-wall with hipsters. Rotating DJs play everything from throwback 80’s hip-hop to Brazilian samba, and there are plenty of dark candlelit corners to canoodle in if you hit it off with someone on the dance floor. El stop:Blue to Damen. Bus:50,73. Get down to the sounds of disco, house, funk and soul at this monthly “queer friendly and dance positive” party at Danny’s Tavern, where resident DJs Ross Kelly and Jesse Sandwich spin vinyl gems from the ’70s and ’80s. Few bars can evoke college house parties like Danny's—and I mean that in a good way. On a weekend night, walking into the homey space is like arriving at a shindig thrown by a friend of a friend of a friend, except there's actually good beer to be had, not to mention good DJs spinning tunes for the welcoming dance floor.